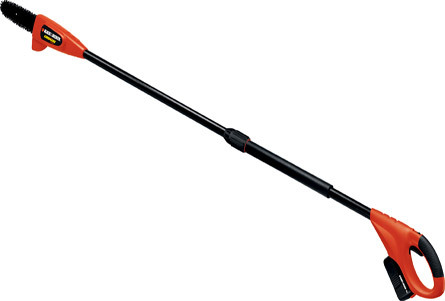 The NPP2018-XE 18 Volt Cordless Pole Pruner allows the user to complete pruning jobs effectively and efficiently without the hassle of a cord. The adjustable pole means that you can suit the pruner to the job at hand and the 150mm cutting capacity will tackle jobs that manual loppers can't. The Oregon bar & chain deliver chainsaw cutting performance and it is all backed by a 4 year warranty.